I saw this bike at the SEMA show last week. I tired to get as many close up details as I could. It only has 15 miles on it and is planned to go on auction this week through Mecum Auctions. Hahahahahaha . . . . And to think . . . I was still trying to figure out how that RR1200 started itself. That was 3 years before Buells offered the optional remote start kit. Anybody else thinking that bike would look great going down the salt at Bonneville? The AMA record for PP-P is 151 mph. I bet we could beat that with the return of the Elves! What do you think it is going to sell for at auction? Could we pool enough money to buy it? Looks like the auction is in January, am I reading that right? I would volunteer to prep the bike and get it out to the salt if anyone else would be interested? Sounds like a good idea Dan of course some would compare this to turning a real 63 split window Corvette into a drag car. I have no idea what this bike would go for. The times are a changing . . . . and perhaps that's good. From the moment the "Team Elves" idea was tossed out and RR1000 identified . . . the onslaught of folks and the flurry of activity for months, was unbelievable. It was cool to see folks from something like 7 different countries furiously working together . . . showing up at Bonneville and breaking all those records. 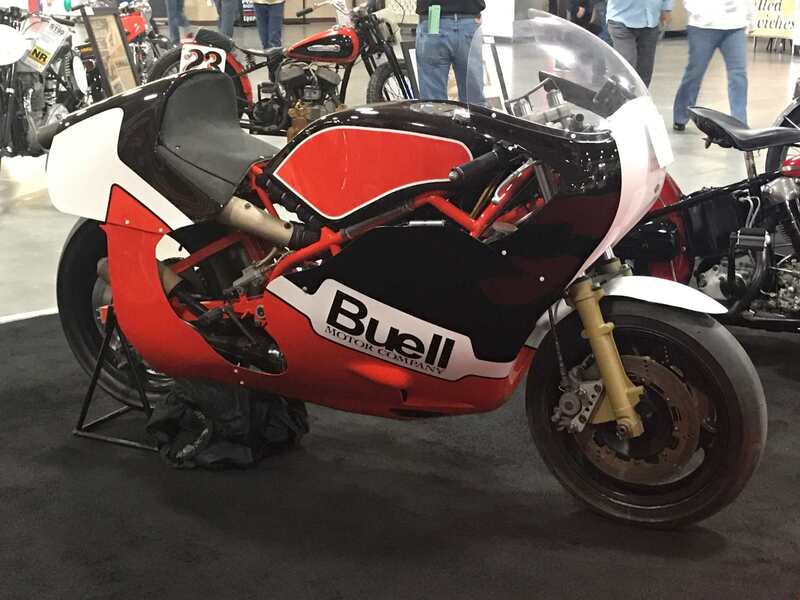 There were several, starting with the Lap of America, of these Buell organic events that occurred over the years that make great memories. $6,500 for a (very nice!) 2002 Blast!